A Northern Ireland IT company is set to create up to 50 jobs over the next two years at its new Belfast base. HyperSync, which has just opened a new office in the Innovation Factory on the Springfield Road, has started recruiting engineers after securing a major deal with US firm, Agio LLC. The firm supplies IT managed services and innovative solutions to companies in the US, Latam (Latin America) and EMEA (Europe, Middle East and Africa) regions. It supports some of the world’s leading blue-chip companies including BT, Caribbean telecom company Digicel, pharmaceutical company Johnson and Johnson and US information technology company Hewlett Packard Enterprise. HyperSync Chief Executive Officer, Marcus Thompson said: “Our move to Belfast was fundamentally focused on Agio. 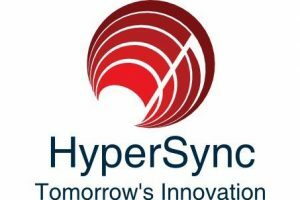 HyperSync employs over 40 people at its bases in Belfast, Newry, Puerto Rico, Jamaica Miami, Trinidad and Australia. Mr Thompson believes the technology sector in Northern Ireland can compete with anywhere in the world. He added: “I have worked in the US, the Caribbean and Europe and the talent here is the best in the world. Northern Ireland has a strong work ethic and an adaptable workforce. Innovation Factory is owned by Belfast City Council and operated on their behalf by Oxford Innovation. Customers include a range of start-ups and growing businesses in a variety of sectors including digital services, creative industries, business services, financial services and research and development.